Fresh off the road from touring 3/4 of the year, the TTR boys began writing new material at the end of 2011. While in the middle of production of a new record, TTR was picked up by Metropolis in early 2012. 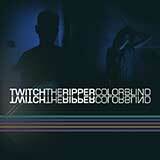 Their newest effort, Colorblind will see a worldwide release in this summer. On record and through their live performances, the duo showcase a rare and honest vulnerability. With the heartfelt lyrical sentiments and human emotion, Colorblind is deep and alluring. As Twitch dabbles through all their new wave and post punk influences, they drizzle early sounds of Pet Shop Boys and New Order throughout the record, bringing a neoteric glamour to a familiar fashion.